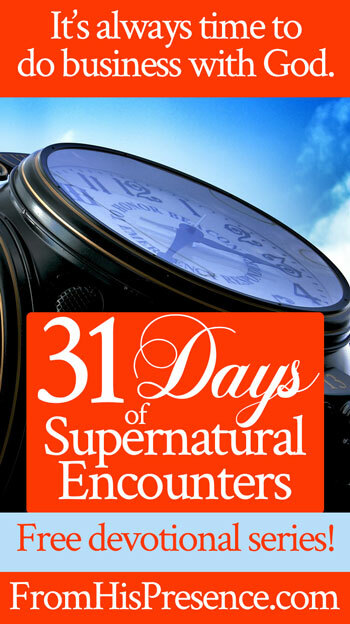 Welcome to Day 4 of our 31 Days of Supernatural Encounters free devotional series! Every day of this series has four parts: Read, Know, Pray, and Listen. As you walk through this series, I pray that you would be powerfully impacted and that Holy Spirit would take you to a new level of intimacy with Jesus! Today, on Day 4, we’re talking about a foundational skill that you will need as we talk more about supernatural encounters this month. It’s how to test the spirits! Be sure to learn this skill well! Jesus said to them, ‘If God were your Father, you would love Me, for I proceeded forth and came from God; nor have I come of Myself, but He sent Me. Why do you not understand My speech? Because you are not able to listen to My word. You are of your father the devil, and the desires of your father you want to do. He was a murderer from the beginning, and does not stand in the truth, because there is no truth in him. When he speaks a lie, he speaks from his own resources, for he is a liar and the father of it'” (John 8:42-44). The devil is a liar. His minions–the sinful, fallen angels, which we call “demons”–are liars too. 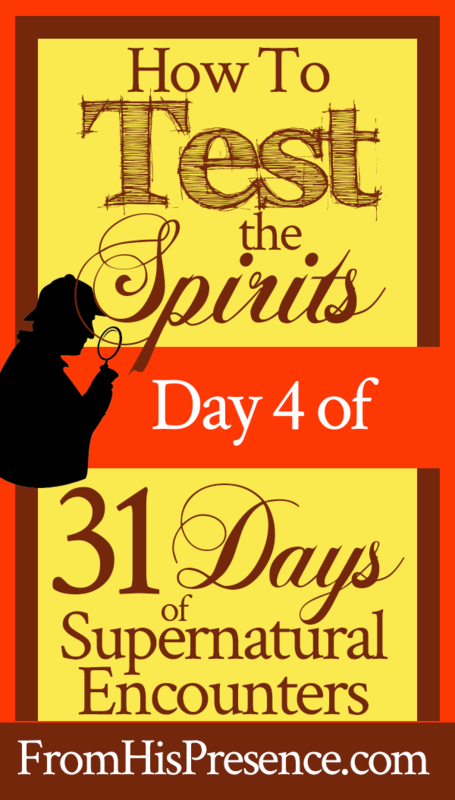 Therefore, it is very important that you know how to test the spirits, to know whether they are from God or not. The Bible says that you need to ask it a question. Read 1 John 4:1-6, today’s Scripture, carefully. What’s the question you should ask every spirit? Simply this: Ask every spirit to confess that Jesus Christ is come in the flesh. If that spirit is from God, it will confess that Jesus Christ is come in the flesh. If it’s not from God, it will not. I have personally used this test, as we all should. And I’ve found that when something is whispering to me that is demonic, and I ask it to confess that Jesus Christ is come in the flesh, I’ll hear nothing. Silence. Sometimes I even see a mental picture of a nasty, evil spirit grimacing in anger. But no matter what response I sense or hear, if that response is not a “Yes, Jesus Christ is come in the flesh!” then I know that spirit is from the wicked one. I immediately command it to leave me in Jesus’ name. Note: It’s not enough for the spirit to simply confess that Jesus Christ is “a” Lord or that He exists. James 2:19 says, “You believe that there is one God. You do well. Even the demons believe—and tremble!” So don’t let an enemy spirit wiggle its way around the question or avoid the question. Make it clear, and make it specific … and listen carefully for the answer. Any spirit that comes to you MUST confess specifically that Jesus Christ is come in the flesh in order to be from God. 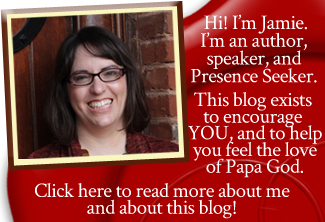 You can, and should, also ask God to give you the gift of discernment of spirits. The gift of discernment of spirits is a gift that Holy Spirit will give to every believer who asks. This gift will NOT take away the need for you to ask EVERY spirit to confess that Jesus Christ is come in the flesh. However, it does make it a whole lot easier to distinguish between the holy voices of God and His angels/ministers, and the evil voices of the enemy and his minions. “Father God, I come before You in Jesus’ name. Father, I want to know You and all Your truth. I want to know Jesus, and I want to obey You and hear You clearly. So Father God, from now on, please help me to test every spirit that manifests itself to me in any way. Even if it’s a thought whispered in my ear, Lord, I pray that I’ll remember to ask that spirit if Jesus Christ is come in the flesh … and that I’ll notice the answer. Please help me to test every spirit, Father, and to know the truth which will make me free. Father, I also ask that Your Holy Spirit would give me the gift of discernment of spirits, so that I’ll be able to discern better what is from You and what’s not. Your Word says that if I ask You for anything, I will receive; so I thank You in advance for this gift. Please help me to use it properly and for Your glory. Today, listen to “Our Father” from Jenn Johnson and Bethel Music. As you listen, pray that our Father would make everything in your life look just like things look in Heaven. Greet teaching, loving it and can’t wait to see the 31st day come. Thanks Jamie, for your teachings. I pray that each time I question the spirit whether it is a true spirit or not. It is our right to know! I know this is very truthful and useful information, I hope believers will it to their spiritual warfare. Jamie, eres una gran bendiciòn para mi vida!!! Jamie you are a big bless in my life! Thank you for this new revelation Father and for using Jamie as your vessel. This message empowered me to overcome an overwhelming fear last night. I am so very thankful for you following the voice of the Holy Spirit to give to us His children. I knew there was scripture that supported testing of the spirits but it hadn’t been revealed until I read this. God Bless you. Jamie thank you for what you are teaching. It is very important to grow deeper in the knowledge in how to serve God and protect ourselves through Christ Jesus, and completely understand who we are in Christ. Wow!!! Jamie, you are such an inspiration in the Kingdom of God, if you ever come to Australia, I’d love to bless you with accomodation plus food. Loving your posts! What great and essential information we need as we are dealing with demonic stuff all the time without realizing it! Asking the important question and asking God for the gift of discerning of spirits creates a dynamic soldier. Thank you!